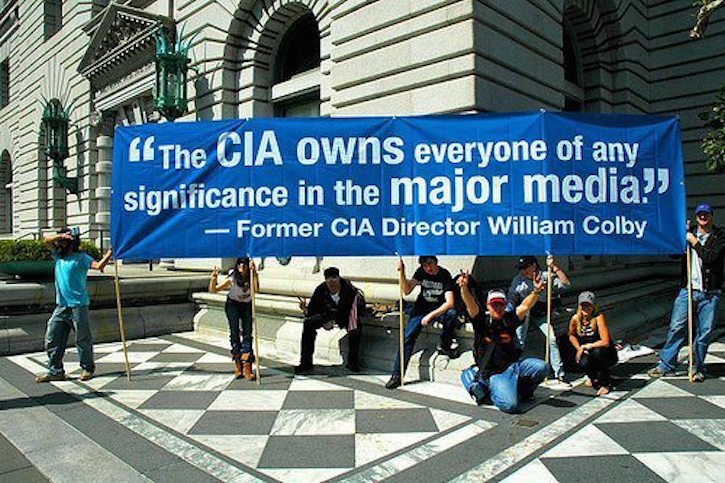 The CIA exercised informal liaisons with news media executives, in contrast to its relationships with salaried reporters and stringers, “who were much more subject to direction from the Agency” according to Bernstein. “A few executives—Arthur Hays Sulzberger of the New York Timesamong them—signed secrecy agreements. But such formal understandings were rare: relationships between Agency officials and media executives were usually social—’The P and Q Street axis in Georgetown,’ said one source. ‘You don’t tell William Paley to sign a piece of paper saying he won’t fink.’” Director of CBS William Paley’s personal “friendship with CIA Director Dulles is now known to have been one of the most influential and significant in the communications industry,” author Debora Davis explains. “He provided cover for CIA agents, supplied out-takes of news film, permitted the debriefing of reporters, and in many ways set the standard for the cooperation between the CIA and major broadcast companies which lasted until the mid-1970s.” Deborah Davis, Katharine the Great: Katharine Graham and the Washington Post, Second Edition, Bethesda MD: National Press Inc, 1987, 175. In late 1966 the New York Times began an inquiry on the numerous questions surrounding President Kennedy’s assassination that were not satisfactorily dealt with by the Warren Commission. “It was never completed,” author Jerry Policoff observes, “nor would the New YorkTimes ever again question the findings of the Warren Commission.” When the story was being developed the lead reporter at the Times‘ Houston bureau “said that he and others came up with ‘a lot of unanswered questions’ that the Times didn’t bother to pursue. ‘I’d be off on a good lead and then somebody’d call me off and send me out to California on another story or something. We never really detached anyone for this. We weren’t really serious.’” Jerry Policoff, “The Media and the Murder of John Kennedy,” in Peter Dale Scott, Paul L. Hoch and Russell Stetler, eds.,The Assassinations: Dallas and Beyond, New York: Vintage, 1976, 265. The CIA and other US intelligence agencies used the news media to sabotage Garrison’s 1966-69 independent investigation of the Kennedy assassination. Garrison presided over the only law enforcement agency with subpoena power to seriously delve into the intricate details surrounding JFK’s murder. One of Garrison’s key witnesses, Gordon Novel, fled New Orleans to avoid testifying before the Grand Jury assembled by Garrison. According to DiEugenio, CIA Director Allen “Dulles and the Agency would begin to connect the fugitive from New Orleans with over a dozen CIA friendly journalists who—in a blatant attempt to destroy Garrison’s reputation—would proceed to write up the most outrageous stories imaginable about the DA.” James DiEugenio,Destiny Betrayed: JFK, Cuba, and The Garrison Case, Second Edition, New York: SkyHorse Publishing, 2012, 235. The pejorative dimensions of the term “conspiracy theory” were introduced into the Western lexicon by CIA “media assets,” as evidenced in the design laid out by Document 1035-960 Concerning Criticism of the Warren Report, an Agency communiqué issued in early 1967 to Agency bureaus throughout the world at a time when attorney Mark Lane’s Rush to Judgmentwas atop bestseller lists and New Orleans DA Garrison’s investigation of the Kennedy assassination began to gain traction. In 1970 Jim Garrison wrote and published the semi-autobiographical A Heritage of Stone, a work that examines how the New Orleans DA “discovered that the CIA operated within the borders of the United States, and how it took the CIA six months to reply to the Warren Commission’s question of whether Oswald and [Jack] Ruby had been with the Agency,” Garrison biographer and Temple University humanities professor Joan Mellen observes. “In response to A Heritage of Stone, the CIA rounded up its media assets” and the book was panned by reviewers writing for the New York Times, the Los Angeles Times, the Washington Post, the Chicago Sun Times, andLife magazine. “John Leonard’s New York Times review went through a metamorphosis,” Mellen explains. “The original last paragraph challenged the Warren Report: ‘Something stinks about this whole affair,’ Leonard wrote. ‘Why were Kennedy’s neck organs not examined at Bethesda for evidence of a frontal shot? Why was his body whisked away to Washington before the legally required Texas inquest? Why?’ This paragraph evaporated in later editions of the Times. A third of a column gone, the review then ended: ‘Frankly I prefer to believe that the Warren Commission did a poor job, rather than a dishonest one. I like to think that Garrison invents monsters to explain incompetence.’” Joan Mellen, A Farewell to Justice: Jim Garrison, JFK’s Assassination, and the Case That Should Have Changed History, Washington DC: Potomac Books, 2005, 323, 324. Operation Gladio, the well-documented collaboration between Western spy agencies, including the CIA, and NATO involving coordinated terrorist shootings and bombings of civilian targets throughout Europe from the late 1960s through the 1980s, has been effectively expunged from major mainstream news outlets. A LexisNexis Academic search conducted in 2012 for “Operation Gladio” retrieved 31 articles in English language news media—most appearing in British newspapers. Only four articles discussing Gladio ever appeared in US publications—three in theNew York Times and one brief mention in the Tampa Bay Times. 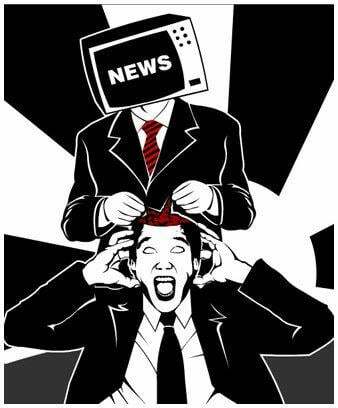 With the exception of a 2009 BBC documentary, no network or cable news broadcast has ever referenced the state-sponsored terror operation. Almost all of the articles referencing Gladio appeared in 1990 when Italian Prime Minister Giulio Andreotti publicly admitted Italy’s participation in the process. The New York Times downplayed any US involvement, misleadingly designating Gladio “an Italian creation” in a story buried on page A16. In reality, former CIA director William Colby revealed in his memoirs that covert paramilitaries were a significant agency undertaking set up after World War II, including “the smallest possible coterie of the most reliable people, in Washington [and] NATO.” James F. Tracy, “False Flag Terror and Conspiracies of Silence,” Global Research, August 10, 2012.